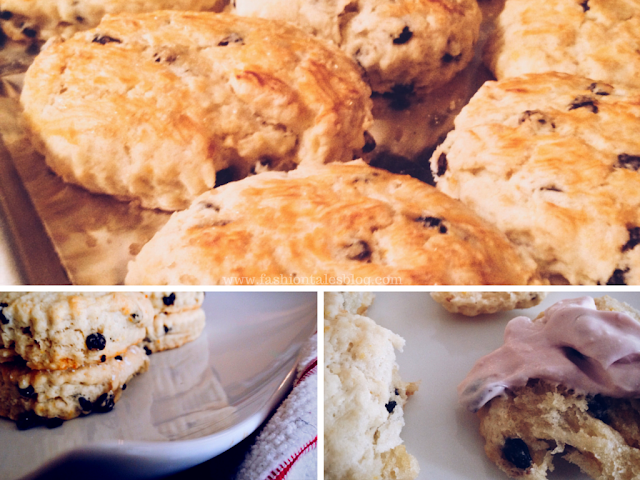 This has been a long time coming, but finally had time to share a few foodie delights that I recently made, including these delicious scones. Growing up with a mum of English roots means that there will be some very English recipes, especially when a mother like mine can cook very well. 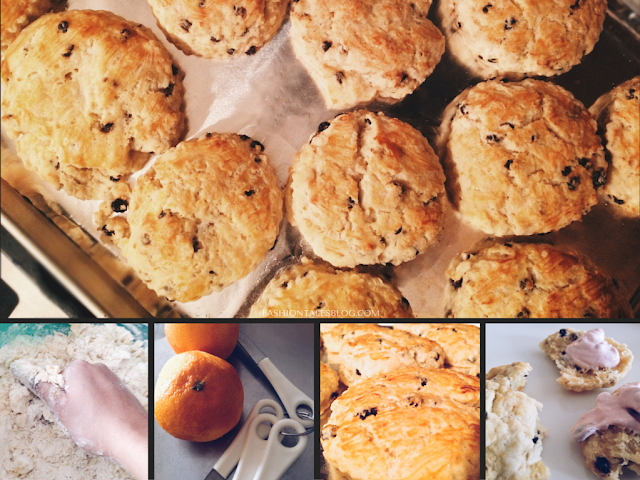 I tweaked my mum's regular scone recipe and decided on making these orange currant scones. She usually makes them deeper, but I did not have a deep cutter on hand at the time. Since then, I have bought one about 4 cm. 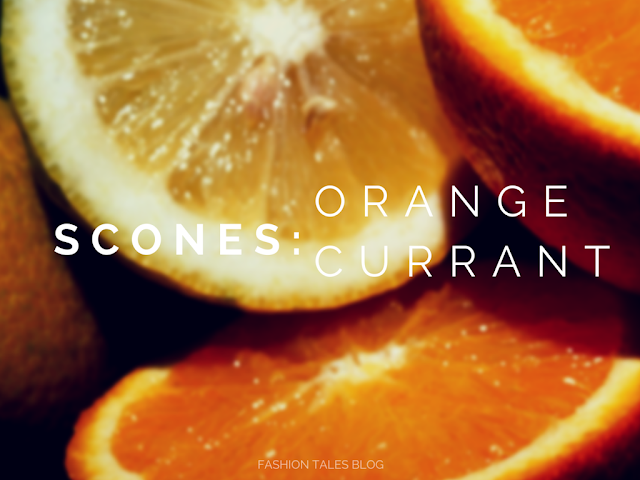 Variations for scones are abundant loads of places. There are plenty diverse versions to savour, and each one of my friends will say that their grandmother or some family member makes the best (right, as they should). Some of my favourite combinations that I grew up eating were maple sultana, rosemary-thyme, cinnamon and cardamom, or even lemon-blueberry scones are pretty much made with the same base. Minor adjustments depend on what fruit or herbs are added into the mixture. I like savoury scones as well, since they aren't traditionally overly sweet, to begin with, and obviously love eating them with a dollop of Devon cream, or side of fresh fruit. We used these more for an afternoon dessert, though a great lil' sweet quick-bread to enjoy post-lunch with coffee. I recently bought a few new pieces of bakeware, so stay tuned for more delicious experimenting in the near future. Prep: 10 min. or less. Bake: 15 mins. Yield: Makes approx. 10-12 scones. Tip flour, baking soda, salt, zero calorie sweetener, baking powder, and caster sugar in a large bowl, then mix. Add the butter, and vegetable shortening, and use fingertips to rub together until a coarse mill consistency (small crumbs) forms. Add 1 cup buttermilk, the orange zest, and currants. Now stir the dough mixture gently until large moist lumps form. Pat dough into a round ball. Transfer dough to a lightly dusted floured work surface. Carefully knead dough by turning 2-3 times to combine well. Do not overwork dough! Divide dough into 2 large pieces. Flatten each piece into 2cm-3cm thick rounds (or for thinner scones about 1/2"-1"). With a cutter or floured cutlery knife, cut each round into 6 pieces. Dive back into the dough and repeat again until you have 6 more scones. Press out what's left of the dough and cut into another round. Carefully transfer scones to foiled baking tray/sheet. Brush the tops with the 2 tablespoons buttermilk (or a beaten egg). Bake for 15 minutes or until light golden brown. Serve warm with jam or clotted cream. Do you have a favourite recipe from your childhood that you love to make? These are perfect with a nice cup of tea delicious. So yummy! Thanks for the recipe, darling!